Hear our interview with CISA on WRSI. Ellison Farms Beef is a producer of high-quality pasture-grazed beef cattle and naturally raised, custom finished freezer beef. 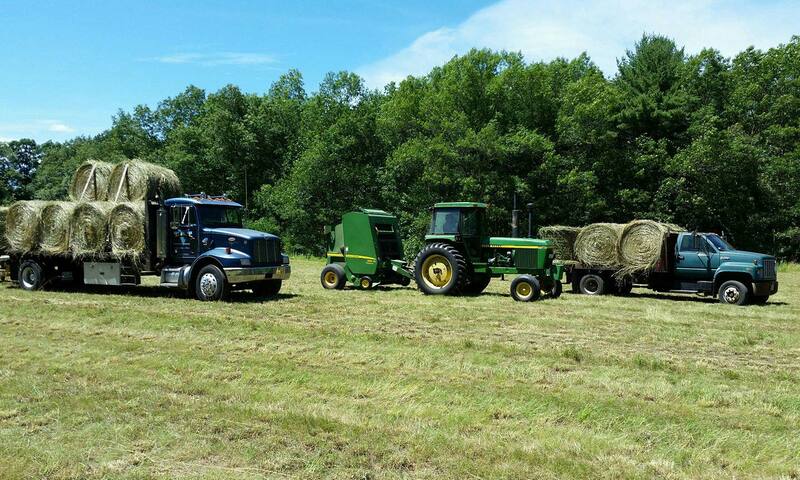 We operate on approximately 50 acres of land in Ludlow, Massachusetts and utilize crops grown on another 100 acres of leased open land throughout the community. Ellison Farms Beef had its beginnings in a DBA started by William “Bud” Ellison on the present location back in the early 90’s. Bud grew up on the farm, helping his grandfather and father grow and harvest the family’s corn and hay. 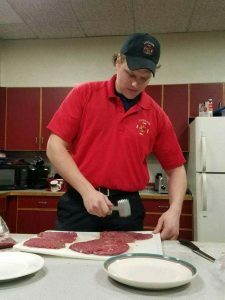 He learned animal husbandry by tending to the family’s livestock and refined his mechanical and food safety knowledge during many years as a plant engineer for a large dairy and meat production facility. He is also a fully certified paramedic and charter member of the local Ag Commission. Bud’s son Zachary has worked alongside his father through all aspects of the business, ranging from harvesting chores to livestock transportation, and now co-manages the operation. We are very proud of our 5th-generation heritage in Ludlow and maintain strong ties to the local community through our involvement and support of various charities, the Local Agricultural Committee, Open Space Committee, and Public Safety Department. Our products are offered for retail sale at both local farm stands and restaurants, and wholesale by the side custom finished and cut to order. EFB’s vision has been to continue the family agricultural legacy by raising beef cattle and marketing locally to the surrounding communities. We have grown steadily over the years as we have refined and improved our specialized beef process. 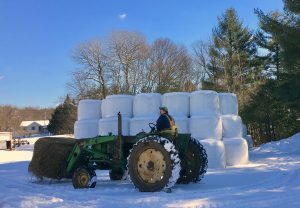 It became apparent to us early on that the local consumer had a need for a trusted, quality local source for custom beef, and we have concentrated on growing our own naturally raised cattle and feed here in the Pioneer Valley of Western Massachusetts. After several years selling custom cut beef sides directly to local families, EFB has now expanded to both restaurant and retail sales, where spotlighted monthly dinner specials and annual exclusive wine tasting events are now highly regarded and regularly sold out. Retail customers can find our products individually packaged as cuts and available in local markets. Maintaining a healthy cattle herd is loads of work, and EFB depends on close family and friends to keep things going. Along with Zach, Bud relies on pals Don and Brian to get ’er done. Between the four of them, there’s over 150 years of livestock experience!